So the big Mardi Gras party is over ﻿in New Orleans, Rio and where ever else it is celebrated. Street cleaners and other city workers are cleaning up the wreckage. People are waking up with pounding heads thinking, I can’t believe I did that. Or even worse, oh my God where am I? 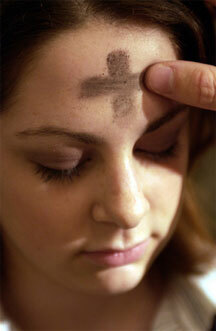 And now it’s Ash Wednesday. The lyrics from dust in the wind always come to mind on this day. It’s a day to remember that from dust we came and to dust we will return. It sounds like a sad and morbid thought. But there is another way to look at it. It’s a huge reminder to not sweat the small stuff. Life is too short. This is not a dress rehearsal. This is it. We can piddle away our life waiting for an inspiration or for someone to tell us what to do. Or we can march our behinds out there and live! I like that! Beating myself up all the time is not helping me, my husband or anyone else. So for the next 40 days, I’m going to my level best to STOP IT. Going to pack up the folding Murphy Cross and put it on the curb. I’m evening doing the rubber band on the wrist thing to snap it when I think something mean or derogatory about myself. Dance with your friends, enjoy your life and your friends now. That’s all we can really do. LOVE THIS POST! soooooooo great! -Thank you! And thank you for stopping by. Seeing you picture reminded me that I said I was going to post some pictures of our remodel. Nice! And I’ve always loved that song by the way, though it’s been a guilty pleasure of sorts since I do believe the soul is eternal, we’re not just dust in the wind, but each life we live on earth is, after all, exactly that. I believe our soul is eternal too. Just not sure if we come back…to this planet…as humans…or? Who knows. I would like this post twice if it would let me push the button. We as humans with our spirit do tend to beat ourselves up for everything we’ve done in the past, even though we have been forgiven. The devil really enjoys when we do that to ourselves. What the Priest said was very true, we are denying Christ’s gift to us when we beat ourselves up. I have been blessed so abundently and I thank God everyday for those blessings. I do my best to stop my stinking thinking, once I realize what is happening. Your rubber band is a good idea. Blessings to you.